As Reno’s Wineries on 4th anticipates the launch of its third winery next weekend, its resident winemakers made a joint public appearance, pouring four reds and two whites for about 40 oenophiles at Nevada Vines & Wines. The sips came with bits of wisdom acquired through trial and error during the 4th Street startup phase. Mike Steedman’s Nevada Sunset was the first of the trio to open there in September of 2017. Nevada Sunset is experimenting with its product line. Its future offerings will not necessarily remain the same. “We’re still trying to figure out what our niche is” he said. 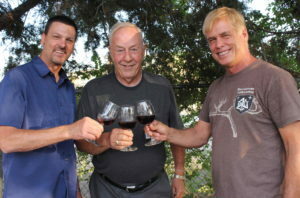 Joe Bernardo is a veteran home winemaker with one month of commercial experience at 4th Street. He’s been collecting customer feedback since the June 16 grand opening of Basin and Range Cellars. The Basin and Range Frontenac has been a hit, he said. “I started out telling people that this is a great wine to have with a big, heavy piece of meat because it’s a deep red. It’s a full-bodied wine,” he told the group. “But then some people came back the other day and said, ‘It’s the best wine we ever had with spaghetti.’ So now we have a meat and spaghetti wine.” Bernardo said. Basin and Range partner Wade Johnston told GBN last month he expects the label’s offerings to remain consistent, with differences in the character of those wines from year to year. “The variability (between) vintages is part of what makes wine interesting for me,” Johnston said. “I think seeing the changes reflected… makes for interesting wine,” Johnston said. Adam Hand owns Great Basin Winery, which has been making wine on site and will unveil its product next week in the 4th Street tasting room. “I’m the odd man out, in that I don’t own a vineyard, and I don’t use any Nevada fruit,” Hand told the gathering. He sources fruit from long-time acquaintances in California, and noted that he’d like to use Nevada grapes, but the supply isn’t there. A common lament is the necessity to begin selling their wines as soon as possible, rather than allowing them more time to mature. “If I had my druthers I wouldn’t release it,” Hand said as his Syrah was being poured. The wine would be enhanced by five years of aging, he said. The other winemakers agreed they’re looking forward to a time when a longer aging period won’t cause financial havoc. “But right now it’s about making money, to buy more grapes, to make more wine,” said Steedman. Space is also a limitation at 4th Street. The wineries share their production facility with strict adherence to legal requirements that they keep their grapes and their winemaking processes physically separated from each other. There’s little room left for long-term storage, they said. 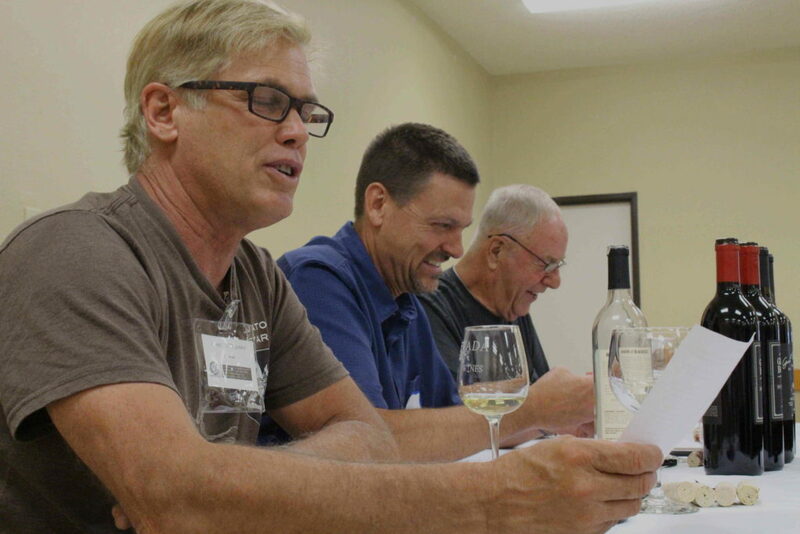 The winemakers have additional aspirations, some needing action by the state legislature. 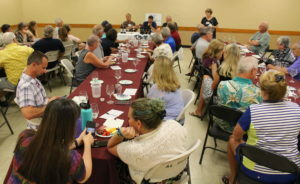 They believe their growth is hindered by a requirement that restricts wineries to a single tasting room, which the law says must be on the same property with the winemaking facility. They’re also experimenting with products like cider and mead, both categorized as wines, but without applicable regulation for commercial purposes. Steedman urged attendees to discuss those subjects with their legislators.